Here is followup to a recent post on the proposed draconian capital rules for banks holding AAA CLO paper. Any regulation, whether it's pharmaceuticals or financial products, should be based on data and other empirical evidence rather than political motivations and career advancements. Over-regulating something just because a regulator does not fully understand the market can result in unintended consequences with adverse impact on the economy. Let's consider the data available for AAA CLO tranches to see how it reconciles with the proposal to increase capital requirements by a multiple. Here are 3 key empirical observations about this market. 1. 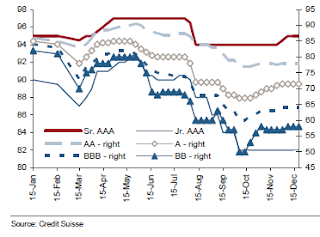 Current CLO deals typically have a 35% subordination for the AAA tranches. The collateral represents a diversified pool of senior secured corporate loans with 90% or higher in first lien. In order to impair a AAA tranche, 70% of corporate loans have to default, assuming a 50% recovery rate (which is generally much higher for first lien senior secured loans). 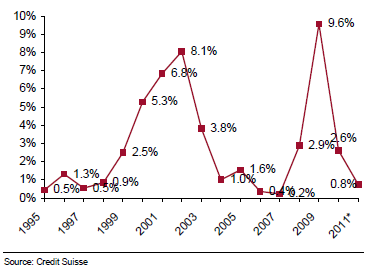 Even during times of severe credit crunch, loan default rates did not exceed 10% in a year. 2. 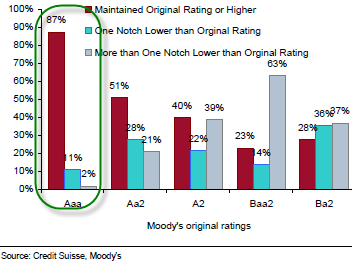 As conservative as the rating agencies have become in downgrading everything within their sights, their analysis continues to show that the bulk of AAA tranches actually remain "AAA". Some may argue that they have seen this movie before, but given the guns pointed at the rating agencies, they have all the incentives in the world to downgrade CLOs. They have aggressively done so for the more junior tranches but not the AAA. 3. If these assets were more risky than investors initially believed, a year like 2011 would have proven it out and the risk would manifest itself in price volatility (as it was with other assets). 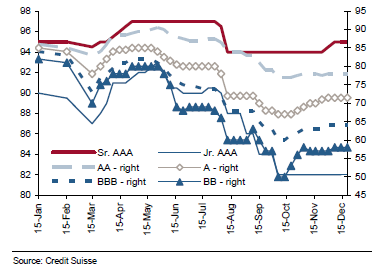 Again, that was definitely the case for the more junior tranches, but the AAA paper held up well. 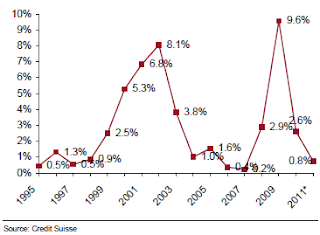 So before the Basel rules are adjusted as proposed, bank regulators need to look at this data. Rather than overcompensating for the RMBS secularization fiasco in 08, regulators need to start from scratch when developing capital rules for this market.